The fabric is NOT machine-washable or "easy snap-off." Dose it have a handle i can hold once the seat is not in the car. 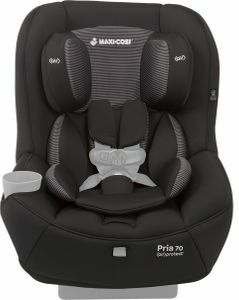 No, this is a convertible car seat, not meant to be carried like an infant car seat so there is no handle. Air Protect technology protects both the head and torso. Weight capacity of 70 lbs in forward facing mode. Headrest and harness adjust easily without rethreading. Cup holder keeps bottles and beverages securely within reach. 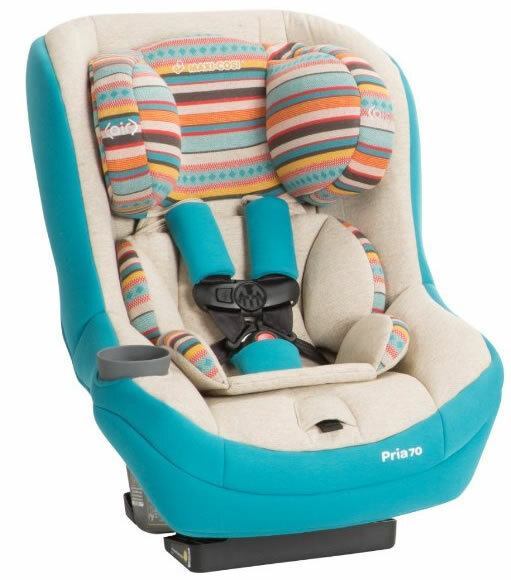 The Pria 70 is designed to provide the right fit and maximum comfort. 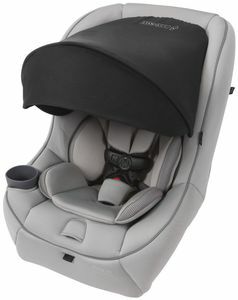 It fits occupants rear-facing comfortably up to 9-40 pounds. 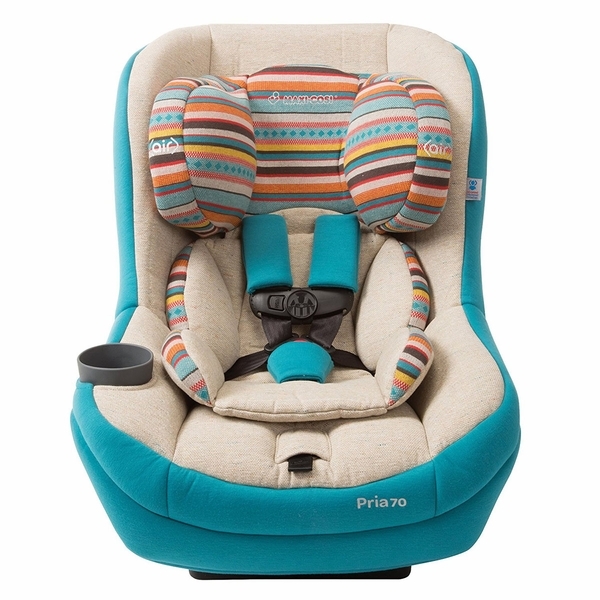 When they're ready, turn it around to comfortably fit children up to 70 pounds forward-facing. 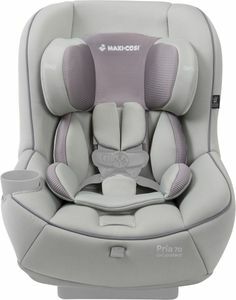 It fits your family for the first ride home from the hospital. 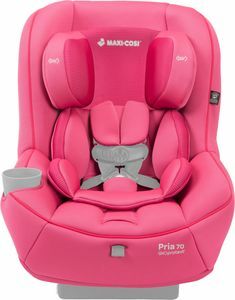 It fits for those first rides to elementary school. 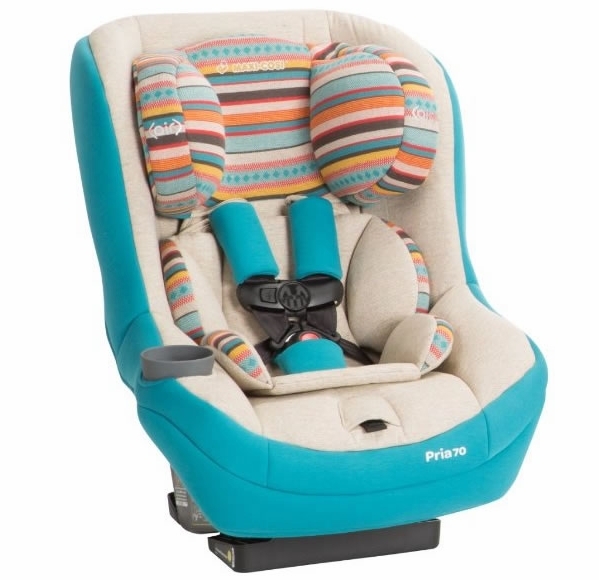 The Pria 70 has Air Protect side impact protection and Maxi-Cosi's FlexTech for multi-directional crash energy management. 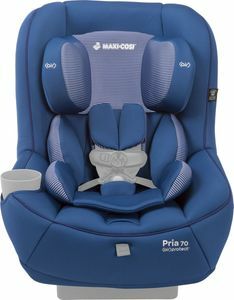 The Pria 70 for mom and dad: less space needed for the rear-facing seat, providing more leg room for front seat parents. It installs easily with OneClick LATCH connectors, has deep recline angle adjustment and a color coded installation systems.